Gwen Stefani kicks things off with a cool look back at her prom, while Madonna takes us back to the '90s. Welcome back to #ThrowbackThursday! 1. Gwen Stefani shared this awesome prom photo of her wearing a dress made by her mom and inspired by Grace Kelly's dress in Rear Window. 2. Super cute: A pre-BlackBerry throwing Naomi Campbell. 3. Speaking of cute, check out Ricky Martin as a little kid. 4. 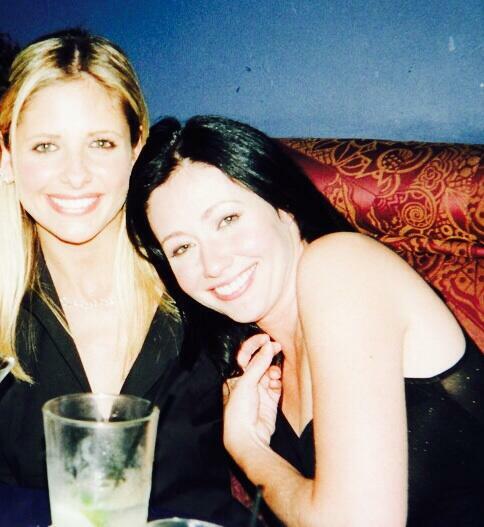 This is EPIC: When Buffy met Brenda Walsh! 5. Drake hanging with Trey Songz back in the day. 6. Sally Jessy Raphael remembered the day that Richard Simmons may have gotten her pregnant. 7. Lucky Lance Bass, he got to rest his head on Beyoncé's pillows. 8. Speaking of Bey, check out this sweet photo with her fellow DC-3 members, Michelle Williams and Kelly Rowland. 9. Kate Upton (on the right) had great hair even as kid. And look at how she styled it! 10. 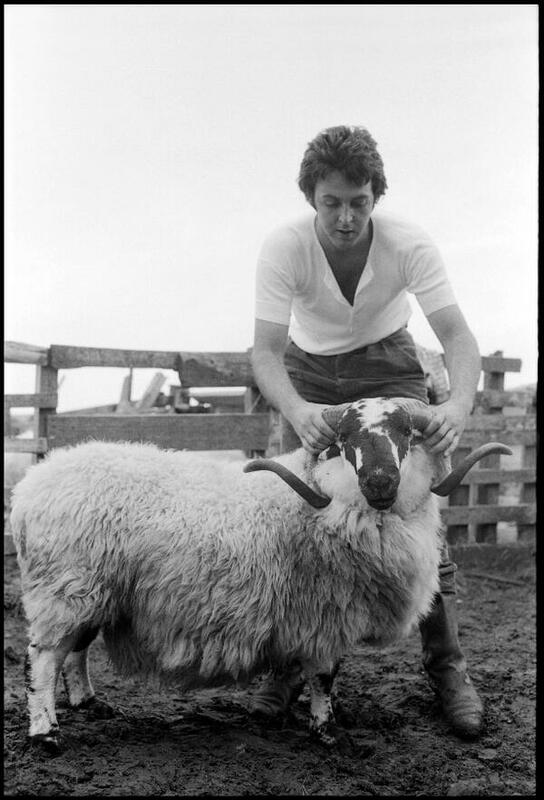 Sir Paul McCartney shared the original iconic pic from the cover of his album Ram. 11. Anna Paquin proved to us that she once could do the splits. 12. X-Men: Days of Future Past's star Evan Peters liked to talk on the phone while going to the bathroom. 13. Apparently, both January Jones and her cat were pissed at something. 14. Madonna took us back to the '90s, when she and her alleged boyfriend, Tupac Shakur, hung out with Sting. 15. And finally, Madonna took us even further back, to the '80s, when she and Keith Haring hung out at New York's Paradise Garage.